www.janetcharltonshollywood.com Want more details? Visit my bio and click on link! 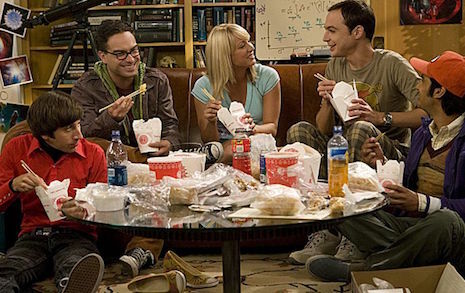 » Blog Archive » BIG BANG THEORY CAST MEMBERS ACTUALLY LIKE EACH OTHER! BIG BANG THEORY CAST MEMBERS ACTUALLY LIKE EACH OTHER! I wonder about this, how much of that money goes to Israel ? As ever, the only language that matters in Hollywood is $$$$$$$. This Josh fellow was on TWO episodes over three years. Did you actually recognize him or did he give you his credits that he had in his back pocket? this is why they havent murdered eachother yet………. I believe this act of generosity shows what a high level of intelligence & maturity this cast has, in addition to how nice the are. I have to wonder if the producers of this show go out of their ways to make sure they hire people who display a certain level of personal decency, something we have learned so many TV production offices over the years clearly haven’t concerned themselves with.